For vampire Aidan Murphy, life has never been so desperate. The vaccine used to treat a global pandemic has rendered human blood deadly to his kind, leaving them on the brink of starvation and civil war. In tiny Penton, Alabama, Aidan establishes a peaceful community of vampires and unvaccinated human donors. He dares to hope they can survive - until his estranged brother descends upon Penton and begins killing the humans. Determined to save his town, Aidan kidnaps an unsuspecting human. While on an early morning patrol in the swamps of Whiskey Bayou, Louisiana wildlife agent Gentry Broussard spots a man leaving the home of voodoo priestess Eva Savoie - a man who bears a startling resemblance to his brother, whom Gentry thought he had killed during a drug raid three years earlier. Shaken, the agent enters Eva's cabin and makes a bloody discovery: the old woman has been brutally murdered. When a bomb explodes inside a Houston high-rise and the governor of Texas goes missing in the ensuing melee, former army ranger Jack "Kell" Kellison and the Omega Force counterterrorism team are called into action. Their mission: infiltrate the activist group suspected of masterminding the bombing, neutralize the threat, and recover the hostage. Yet within moments of meeting his prime suspect, beautiful environmentalist Mori Chastaine, Kell knows she's innocent of the bombing - but definitely guilty of something. Mori has a secret, one she is desperate to hide from Kell and the rest of the world - a secret that binds her to a primal power hungry to assure its future, even at the cost of thousands of innocent human lives. If Mori dares to reveal her true identity, will Kell join her fight? Or will she become his next target? ©2013 Susannah Sandlin (P)2013 Brilliance Audio, all rights reserved. When I purchased this, I was expecting a straight forward suspense romance. I was surprised when I found that the Omega Force team Kell belongs to had some 'shifter' members. I suppose given Susannah Sandlin's other wonderful books I should have expected this, but the summary gave no indication so I did have a 'what the heck?' moment before I got sucked in to the excellent story. Alexander Cendese has a wonderfully deep reading voice. His female voices were a little jarring at the beginning, but by the end of the story they felt perfectly smooth. Thoroughly recommended! Listened to this story after hearing "Allegiance", where Robin and Nick were dominant characters. Robin is a fun gal with all kinds of surprises, but she is not the main character of this story. Kel and Moory are the focus here, and the story was interesting although it did drag at times with too much detail. The narration could have been better. Should have had Amy McFadden narrate.. This was a pretty good story. Not as good as any of the Penton books but a good story just t5he same.. I really liked Mori and Kell and the secondary characters, Nik, Robin, Archer and Gadget. Benedict was just a whacko!! And got exactly what he deserved..
As to the narrator: He was just terrible! The ONLY person who was worth listening to was the realy, really bad guy Benedict. Kell was just ok but every other voice was horrible. The girls sounded like men and the men sounded like idiots. I would never listen to this narrator again. Sorry!!! Kell is an ex-Ranger with an injury, now part of Omega Force, a group of combined military or ex-military and shifters who are organized as a task force. When a building is blown up in Houston, his group is called in to try to find the culprit. All points at first to Mori, who heads an environmental group, and unknown to the group is a shifter herself. She is involved in the plot as a victim of sorts, but has no part in creating the bombing. From there, the interaction/romance of Kell and Mori takes place. This book introduces some side characters (Robin and her friend), who are then leads (the heroine) or strong secondary characters in another of Sandlin's books, Allegiance. In timing, this book falls right after Omega in the Penton series before Allegiance. I really enjoyed this book. 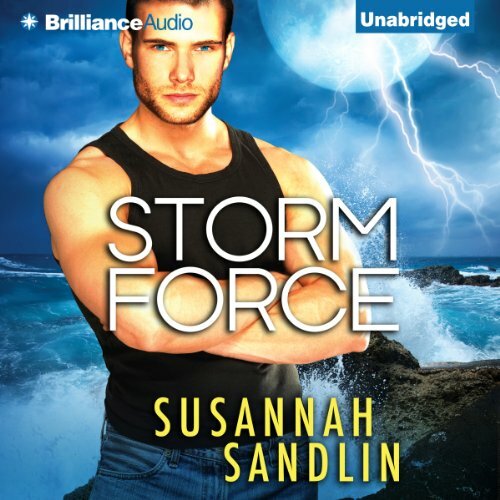 Like others of Sandlin's, there is more action and plot than romance, and they are paranormals. She is a great writer though, and I was engrossed in this story, which started as a serial but is contained in entirety in this book. 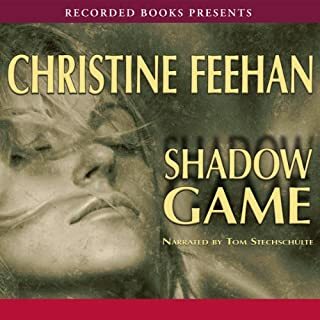 I really loved this audio from start to finish, the author gives wonderful characters with mystery you just can’t put your finger on. Oh the secrets are wonderful when you get them worked out. There are characters you are going to love and some you will hate so much you wish you could take them out yourself. You know you have a wonderful audio when you are talking and yelling to the characters. One man has it all, and he demands more by pulling Mori into the bomb he set off, you will be shocked to the reasoning and how her family deals with it all. One man stands between her and the justice she deserves. He walks in to her place of business that she has given her life to protect those animals who need protection. He isn’t what he seems but does seem to have her back. It is a guessing game as to who is behind this bombing but one thing for sure is Kell is sure it isn’t Mori now he has to prove it since the world is hunting her down. Two people on the run trying to get justice with one dangerous man at the head who demands to have it his way. Time is short, and he knows she is hiding something never in his wildest dreams did he think it was what it is. Now he has a mad man hunting the women he wants and the women going off half cocked taking the man on by herself. What is she thinking she is about to get herself killed. His hands are tied as he calls in his friends who have secrets of their own. What a delightful action packed listen that takes you to another level leaving you on the edge with your mouth hung open. Mr. Cendese is a wonderful narrator who pulled me away from the first page, with his wonderful characters, emotions, tones and the way he laid this story out for me. I really loved his character voices as much as I did his normal voice. He has a voice you could never get tired of listening to. He bought the action alive making me hold my breath, guessing to the outcome as he threw in the surprises and twists and turns the author gives us. There were no background noise, no volume changes, no repeating of words just one amazing audio I got lost in. I could not tell where he took breaks it was just a very smooth audio that is very clear and clean. I had no trouble picturing the scenes in my mind along with the danger and suspense. He really bought the story and the characters to life for me. I have not listened to his narration before but is sure is one I want to listen to again and again. I honestly feel he is worth more than a five star, he truly did an outstanding job. I do plan on listening to this audio again I totally loved it. It is well worth your time you are in for one heck of a treat. I can’t wait to listen to more of his work. There was nothing I didn’t love about this audio from the plot to the wonderful characters and their abilities. It is well-thought-out with lots of action, thrills and a few chills. There were times I laughed, chuckled as well as times my heart beat fast from the thrill of the excitement the characters were going through. There were times I was very upset and mad at a few characters and other times when my heart just broke for what some had to deal with. At times my mouth dropped at the shock of people and what they are willing to do for money and how her parents were. I loved the buildup of the romance as well as how they dealt with the issues at the end. The twists and turns are exciting as the author pulls you in with wonderful characters and humor that will make you laugh. I have not read anything by this author but wow just wow I can’t wait to read more of her work. She is very talented knowing how to pull you in, holding you on the edge, I couldn’t wait to see what she had planned next. It was an audio that I couldn’t put down and had to find things to do, so I could listen longer. I know Walmart is happy I didn’t plan on spending as much money as I did, but I was so into this story I just grabbed this and that. Oh I will use the items just didn’t need them when I bought them. 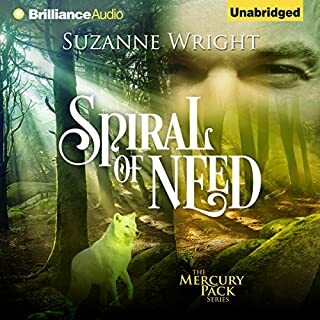 It truly is well worth your time to give this narrator and author a chance. I bought the book and got the audio at a very good price. It is well worth the money plus more. You are in for a treat that will stay with you long after you put the book down. Ms. Sandlin you have me hooked I sure hope this is a series, I can't wait for more. loved it!! great book couldn't put it down. hopefully there will be more books like this with the continuation of the rest of the characters! Maury is the only female of her kind. Michael is as evil as they come and bought her the day she was born just so he could breed her then kill her. until she meets kell , who is part of a secret team of shifters like Maury. I was given a copy of this book at my request and voluntarily left this review. Action packed, full of suspense and intrigue. I had no preconceived idea of where this story was going so I enjoyed the suspense as it unfolded. Loved it from start to finish. The narration was spot on. It was like listening to a very highly selected cast of characters. It reminded me how thrilling a perfectly narrated story could be. For those who like shapeshifter stories. I didn't realize this was a shifter story when I got it. I love this type of book and was pleasantly surprised. I like the fact that there is an abundance of action and a good romance to this story. 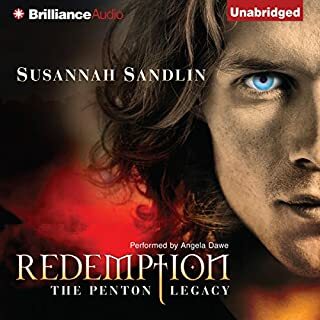 I have read only one of the vampire series that Suzanne Sandlin has written and I was on the line how much I liked it and if I would continue. 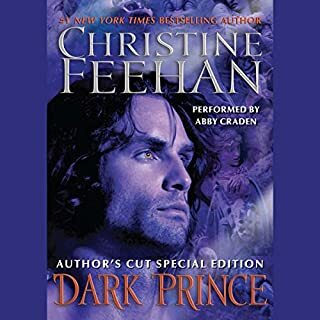 After I purchase this on sale, I realized these books were by the same author and I figured I would listen to this one and if it was good I would continue on with the other series. I really liked this book and this book convinced me to try the other series again. I am looking forward to more books in this series. I liked all the characters in this book and I think they need to have their own books. I liked the narrator he is easy to listen to and sets a good pace, although his voices are not the best in the business. Hope this isn't the last one! While a little slow at the start, the story picks up quickly and invites more human/shifter tales to come in the future.